In 1994, LucasArts released TIE Fighter, a space combat simulation placing players in the cockpit of the iconic, wailing cannon fodder that blew up spectacularly in the original Star Wars trilogy. I’m sure I don’t have to explain to you why that was awesome beyond comprehension. However, the minimum system requirements for a PC that would run this game were a 33 MHz CPU, 4-8 MB of system RAM, 1 MB of hard disk space, and a compatible sound and video card. To a nerdy 12-year-old Kevin Whinnery, this might as well have been the Large Hadron Collider. What private citizen would have access to that kind of computing power? Over the course of the next few years, I saved every dollar I could, learned how to take apart a PC tower, diagnose and fix faulty RAM, configure BIOS settings, and learn the basic operation of DOS. Finally, one day, I squared up and disintegrated my first X-Wing fighter. As much fun as that was, it turned out I enjoyed the process of tinkering and experimentation just as much as the end product. I started off trying to get a game running, but what I really discovered was an interest in technology and a desire to understand how stuff worked. After my marginally successful foray into hardware, I decided to try my hand at writing the kind of software I struggled so hard to get running. In my first programming class, I teamed up with a few of my classmates to write a multiplayer RPG around a classic schoolyard combat game in Scheme. While sales of Red Rover 2002 were ultimately disappointing (no doubt due to the lack of a curated app store for distribution), that process of collaboration and creating something from nothing was incredibly fun and rewarding. 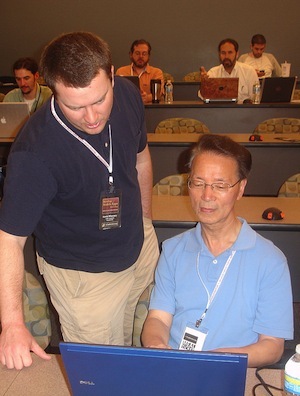 These positive early experiences with software development eventually led me to a career writing code, at first for a large ERP software vendor in my home town of Saint Paul, MN. As a developer, the thrill of exploration and creation is what gets me out of bed in the morning. Luckily, with the speed at which the tech world moves along, there’s never a shortage of opportunity for experimentation. Though anytime you run an experiment, you’re never 100% sure what the end result is going to be. I saw this manifested in my own career when my on-the-side involvement with a small open source project from Appcelerator turned into a full time job, much of which was in the role of a developer evangelist. An “evangelist” was not something I ever imagined I would be, but it turns out that it is the best job ever. Every day, I get to help smart people execute awesome hacks to solve real problems. I get to share their passion and become a tiny part of their success, which is a joy and privilege I can’t adequately describe. 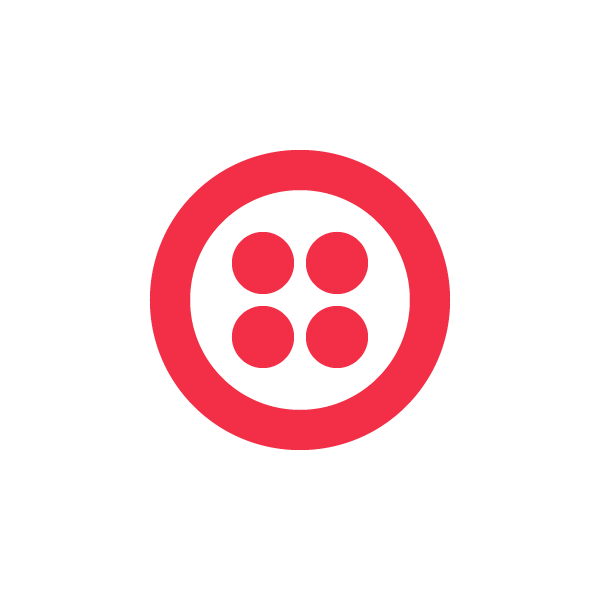 I am tremendously grateful to be a developer evangelist once again for Twilio. After four years with Appcelerator, our developer community launched tens of thousands of mobile apps into the wild and breathed life into our open source projects. I got to train developers at large corporations. I worked through the night with teams of talented designers and hackers on 24 hour projects. I got to meet entrepreneurs who launched new businesses because our community and technology opened doors that were previously closed to them. Smartphones are proving to be an incredible canvas for technical creativity. Whatever your TIE Fighter is, I’m here to help you get it running.